Mosquitoes are the deadliest animals in the world! Mosquitoes transmit diseases such as malaria, yellow fever, dengue and Zika. Malaria is one of the most dangerous life-threatening diseases that is responsible for half of all human deaths since the Stone Age. Therefore, it is extremely important to protect yourself from mosquito bites when traveling to countries where malaria or other mosquito-borne diseases are present. Unfortunately, Zika, the emerging mosquito-borne virus, is spreading rapidly, even in the United States where the Florida Department of Health has identified the first non-travel-related Zika cases. Simultaneously, people often underestimate the risks of mosquito-borne diseases when traveling abroad. Particularly for travelers, it is important to be aware of effective methods to prevent mosquito bites. Use mosquito repellent, preferably EPA-registered brands. Wear long pants and long-sleeved shirts. You might consider buying permethrin-treated clothing and gear (do not use directly on the skin). Take steps to control mosquitoes inside and outside your residence. Sleep under a mosquito bed net, use air conditioning and use screens on windows and doors. Mosquitoes lay eggs in still water; check weekly around your residence for items that hold water. 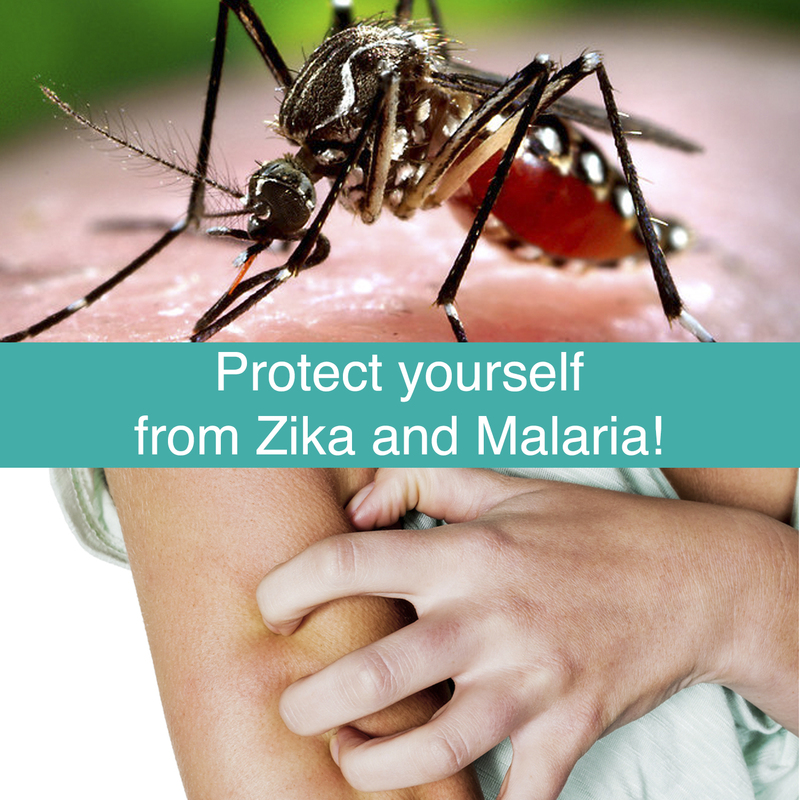 Protect your baby or child by using mosquito netting and clothes that cover legs and arms. When you are traveling to countries with Zika, malaria or other diseases, consult with your health care provider before your trip. They will advise you on the most appropriate disease prevention measures such as malaria pills, vaccines and other general protective measures. Male mosquitoes do not bite; it is the females that spread diseases by consuming your blood. Mosquitoes are particularly attracted to a person’s smell and prefer to be active during the night. You might have noticed this audible sound of mother nature’s dentist drill when waking up in the middle of the night. To get a carefree night’s sleep and to protect yourself from infectious diseases, it is advised to use a mosquito net. Universal Backpackers has developed the perfect net to protect yourself at home and when traveling. 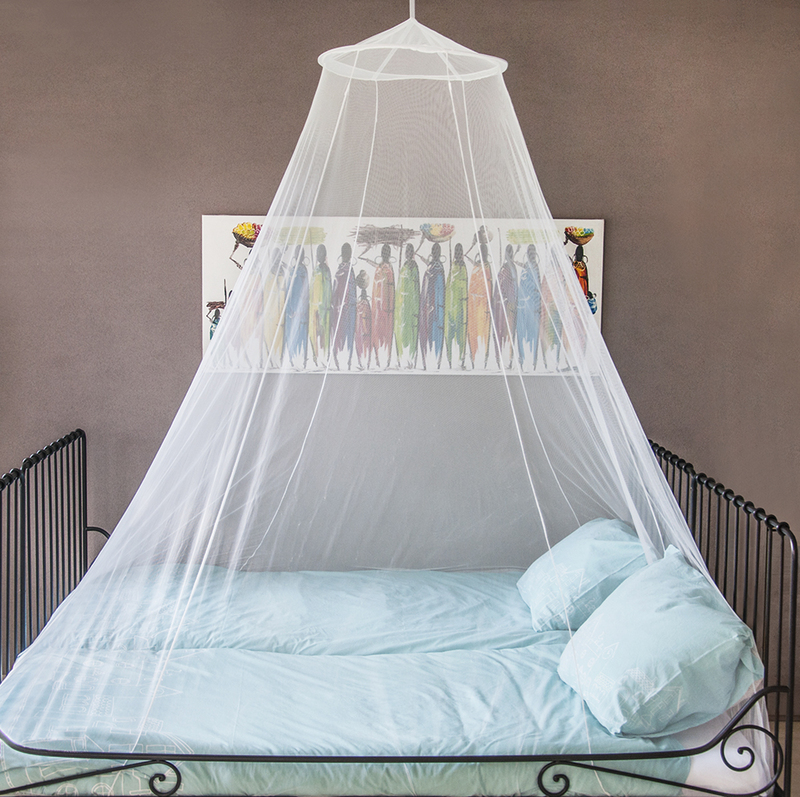 The king-size mosquito net is equipped with four unique elastics at each corner, creating a snug fit around the bed. There is also an elastic loop on top to prevent any tearing when one pulls down the net accidentally. This net offers the perfect combination of elegant decorative canopy curtains and premium quality protection against mosquitoes. A free taffeta carry pouch with hanging kit is included for easy installation and transportation. This mosquito net is now available, purchase it here. Reading about the biology of mosquitoes can be an intriguing subject. Do you want to know why mosquito bites itch, why they make a buzzing noise or where mosquitoes go in the winter? Read more about their behaviours by clicking here. There you can also find more information about insect repellents, mosquito traps, mosquito foggers and other mosquito control.